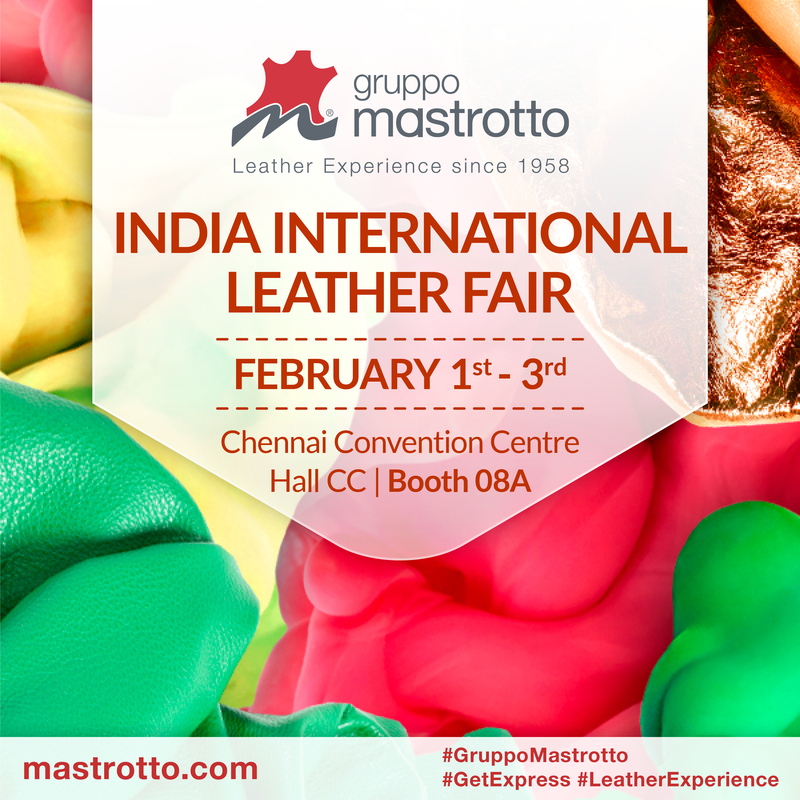 From February 1 to February 3, Gruppo Mastrotto participates to the annual India International Leather Fair (IILF), where the new Spring Summer 2019 Collection will be presented. Leathers brightly colored, as well as in pastel tones, are displayed at the Gruppo Mastrotto stand at the Chennai Convention Centre. A wide range of original and high-quality proposals, to satisfy every need, also in terms of flexibility, thanks to Gruppo Mastrotto Express, the innovative service of leather in prompt delivery, available in small quantities, with more than 1.100 colors always in stock.